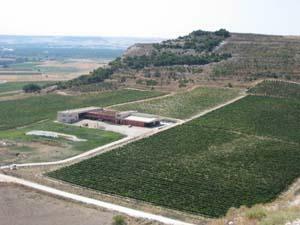 Nestled at the base of one of Ribera del Duero’s most historic castles and located in one of the region’s highest elevation areas where award-winning wine has been produced for generations, Bodegas Comenge’s primary objective is to produce excellent wines that are distinguished, personal and different from the rest. 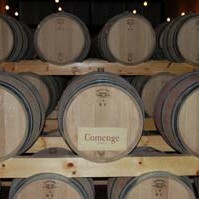 After years of experimentation the Comenge team has finally honed in on exactly what it takes to produce complex wines that bring together power, elegance, character, smoothness and flavor; wines that bear the hallmark of their unique soil, special climate and the legendary Tempranillo grape variety. 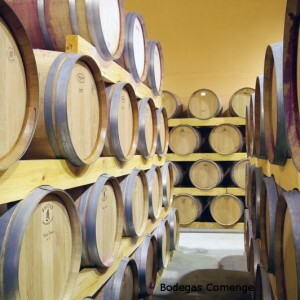 Only the best grapes are selected for making Comenge’s wines and a triple selection process is performed, where by each individual grape is selected on a sorting table after being de-stemmed, ensuring that only the highest quality fruit goes into the tank for fermentation. 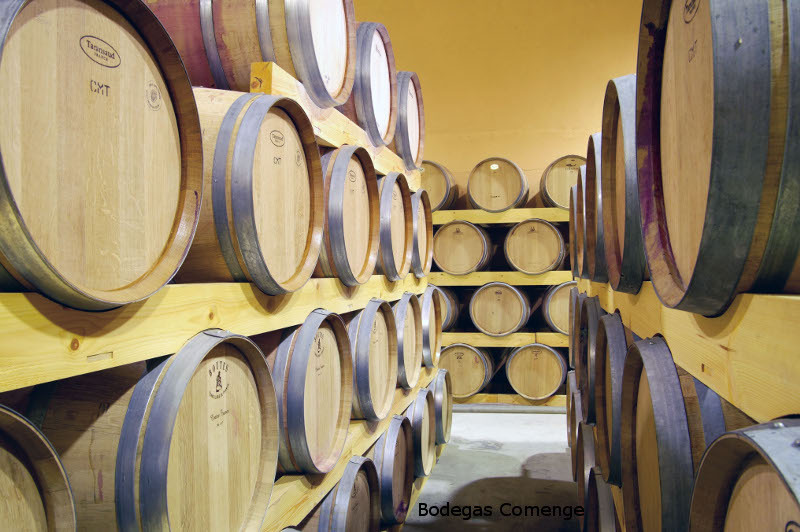 Dedicated to respecting their surrounding environment, Bodegas Comenge is also a leader among other Spanish wineries, in terms of the ‘green practices’ they regularly use when making their wines. 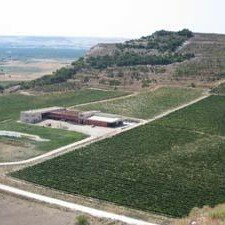 Everything, from the farming of the grapes to the making of the wine, is done so as to minimize the output of CO2 in the environment. 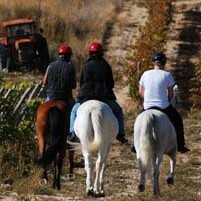 In addition, the winery also does not use any chemical fertilizers nor pesticides in their vineyards. 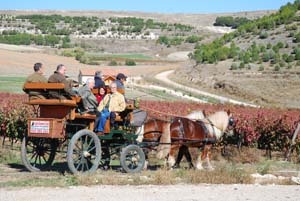 On a tour of Bodegas Comenge, you will be able to taste wine under the stoic shadow of the Curiel Castle located directly behind the winery, tour the winery’s vineyards on foot, horseback or by horse & buggy, enjoy lunch the winery’s upscale, in-house restaurant and lounge bar with the owners themselves and sample wine directly from the barrels in Comenge’s enchanting barrel room. 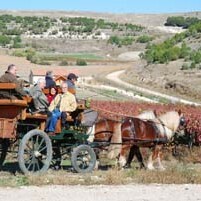 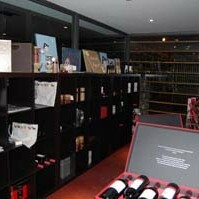 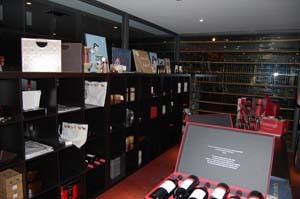 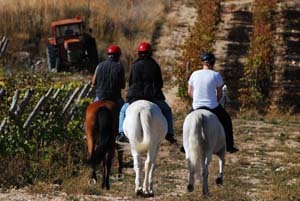 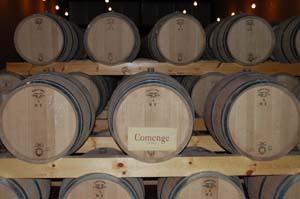 A tour of Bodegas Comenge is a true boutique winery tour at its best.